Mic up your snare or tom with a rim-mounted mic mount. 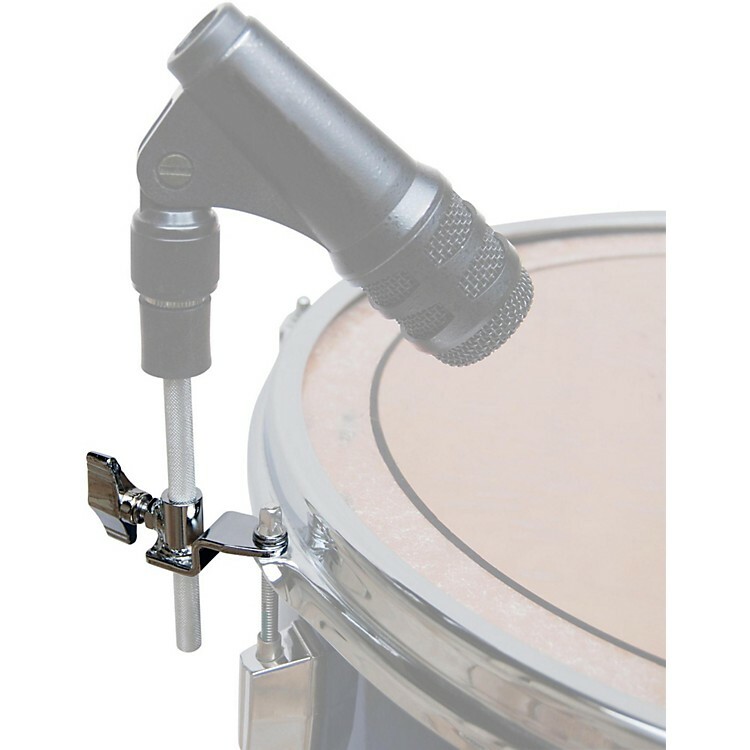 This Snare/Cymbal Mic Mount reduces your onstage footprint and will not impede your live drumming performance. Adjusted with an affixed wingnut, this mount features a chrome-over-steel construction, compatibility with all brands and a 1-year warranty. Microphone and clip not included.